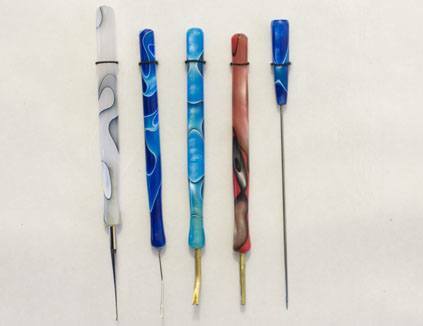 I make a range of Lace tools with beautiful acrylic handles, each piece is unique as you will see from the image. The acrylic has a wonderful smooth warm feel to it and the tools are a pleasure to use. The Pin Pushers and Lifters have brass section to lift or push the pins. 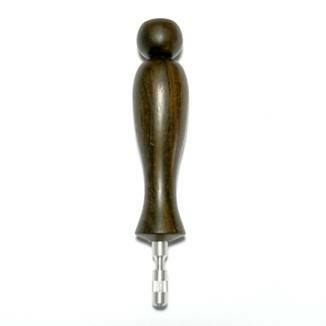 The Lace Hooks have a 0.4 mm crochet hook fitted and it is supplied with a protective cover. The Lazy Susan has a bent needle fitted.